We all know the symptoms. Itchy and watery eyes, sneezing, headaches and migraines, and the pressure that makes your head feel like it may just explode. Yes, we are talking about allergies. At this day and age, it is estimated that 10%-30% of the entire world are affected by allergies. From nasal allergies to seasonal allergies, the cost for relief from pain and discomfort is sky rocketing. Three billion dollars a year, to be exact. Yes, you read that right… three million dollars! That’s adding up doctor visits, prescriptions, and missed time from work. Whether your allergies are just seasonal or all year round, we know it’s not something pleasant to experience. What causes allergies? Allergies are your immune system’s exaggerated response to substances that it does not immediately recognize. When you have an allergic reaction, your immune system is built to produce a specific antibody known as “immunoglobulin E” also known as “IgE”. For people who suffer from allergies, IgE comes in full force to respond to even the simplest things like pollen, pet dander, foods, dust, and other matters. IgE forces the symptoms of an allergic reaction when you are around these substances, causing the common pain and discomfort associated with allergies. What is the best treatment for allergies? The best treatment for allergies can vary. Of course, there are medications that help control the allergic response. These medicines can help relieve the pain and discomfort from an allergic reaction. Unfortunately, certain allergy medications can cause many unwanted side effects such as dry mouth, drowsiness, dizziness, nausea, vomiting, restlessness, moodiness, trouble urinating, blurred vision, and confusion. Please keep in mind that these side effects do not happen to everyone and we do not discourage patients from taking allergy medications if recommended by their doctor. However, there are some steps you can take as a preventative measure to end the pain and discomfort from allergies so you may not have to result in taking allergy medication for symptoms. 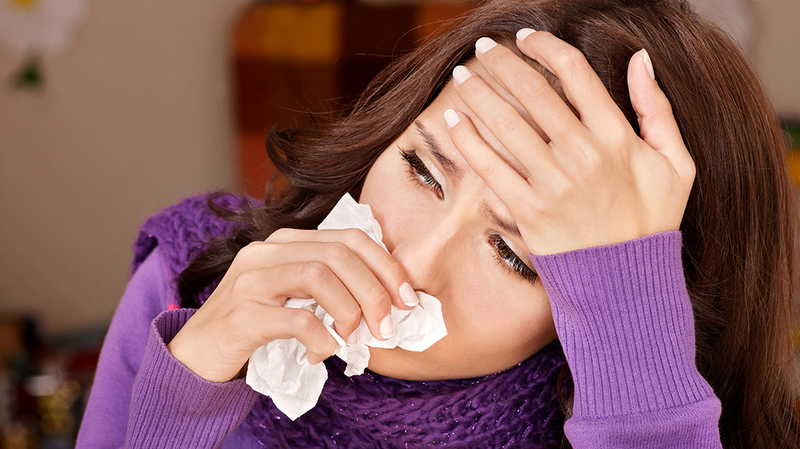 How does Chiropractic Care help with allergies? Seeking treatment from a Doctor of Chiropractic can be the first step to take when you notice you tend to suffer from the pain and discomfort associated with allergies. One of the best reasons to try out chiropractic care is because there is no medication involved with chiropractic treatment. Chiropractic care is a holistic approach to healing and Doctors of Chiropractic believe that the body is self-healing. The strength of the immune system and respiratory symptom depends greatly on proper communication between the brain and spinal cord in order to coordinate and properly control their functions. Upper cervical joint irritation (caused by misalignments of the neck) can cause allergic and asthmatic symptoms. When a Doctor of Chiropractic can restore alignment through chiropractic adjustments or spinal decompression, it opens up pathways that were previously blocked and creates the needed communication between the spine and the brain. If you are suffering from allergies and wondering what options you have, visit a Doctor of Chiropractic today. Not only can they give adjustments, they can give helpful nutritional and lifestyle advice that may deter unwanted allergic reactions, too. Trying these holistic options may help you steer clear of the side effects of medication. Tags: AllergiesAllergy ReliefAllergy SymptomsBenefits of ChiroBenefits of ChiropracticBenefits of Chiropractic CareBenefits of Chiropractic MedicineBenefits of Chiropractic TreatmentChiroChiro BenefitsChiropracticChiropractic BenefitsChiropractic CareChiropractic Care BenefitsChiropractic MedicineChiropractic Medicine BenefitsChiropractic TreatmentChiropractic Treatment BenefitsHow do you treat allergies?How to Naturally Treat AllergiesHow to relieve sinusesItchy EyesRunny NoseSinus PressureSinus ProblemsSinusesWatery EyesWhat Causes Allergies?